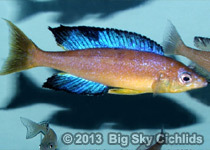 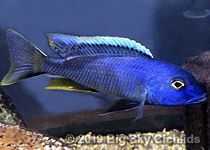 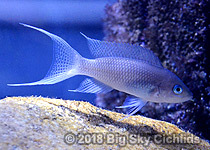 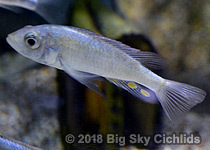 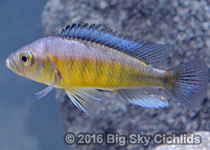 Neochromis rufocaudalis 2M/3F yes 1"
Prognathochromis perrieri 4M/6F yes 1.25"
Platytaeniodus sp. 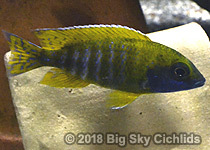 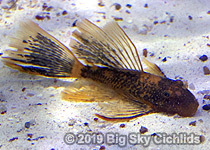 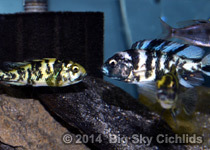 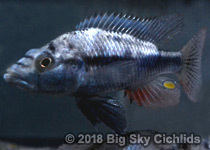 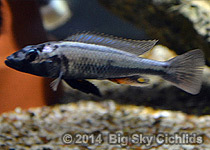 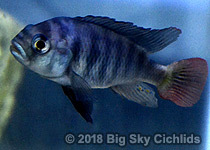 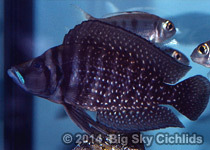 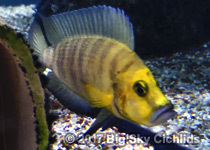 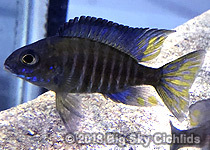 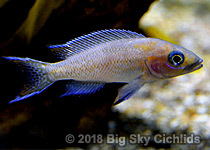 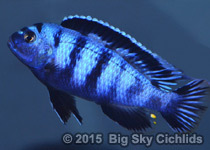 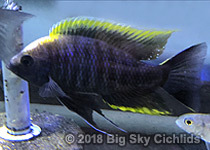 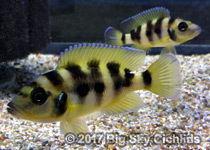 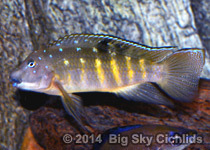 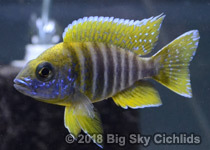 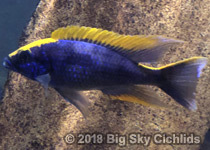 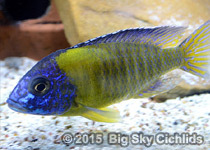 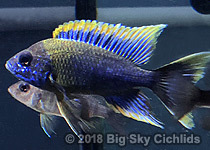 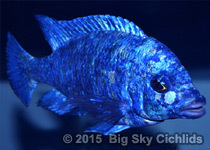 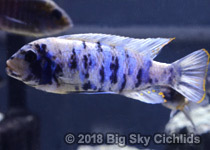 "red-tail sheller" 2M/1F yes 1.25"
Aulonocara sp. 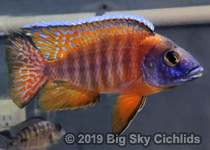 "lwanda" 2M/3F yes 1.25"
Labeotropheus trewavasae "mpanga red" 2M/3F yes 1.5"
Altolamprologus calvus "Congo black" 3 pair yes 1.25"
Altolamprologus compressiceps "Muzi gold head" 1 pair yes 1.25"
Ancistrus cf. 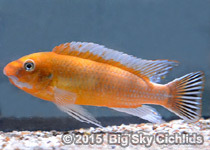 cirrhosus "bushynose" brown & albino standard & longfin 3M/5F yes 1"
Ancistrus sp. 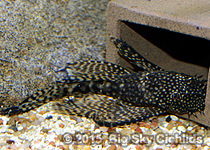 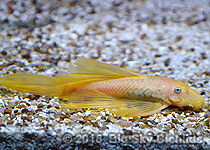 "leucistic bushynose" aka "blue-eyed lemon" standard & longfin 4M/4F yes 1"
Ancistrus cf. 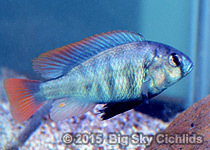 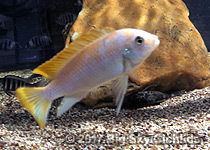 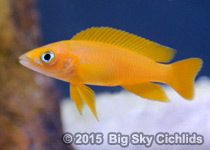 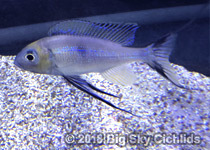 cirrhosus "calico red marble" standard & longfin Several yes 1"